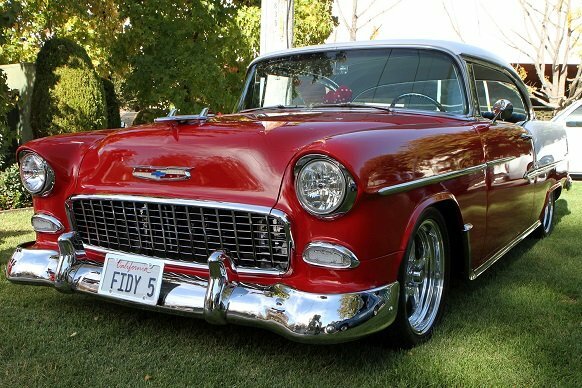 The Bel Air model debuted under the Chevrolet brand name in 1950 and was the height of the Chevy lineup. For the following 2-1/2 decades, this car would charm drivers everywhere. 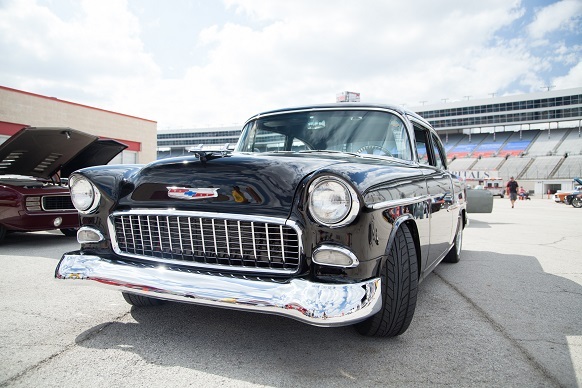 Here’s what you need to know about the first two generations that commonly dominate classic Chevy car shows every weekend. 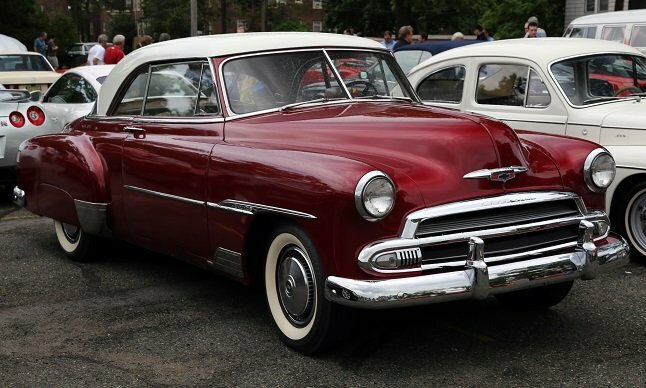 In 1950, Chevrolet debuted the iconic car that would set the tone for the next few decades. The model first came in under the Deluxe Styleline Bel Air nomenclature. Models with similar characteristics had previously failed, miserably, to get any footing, but the Bel Air seemed to come in at just the right time. The initial production tested the waters of the revised concept. 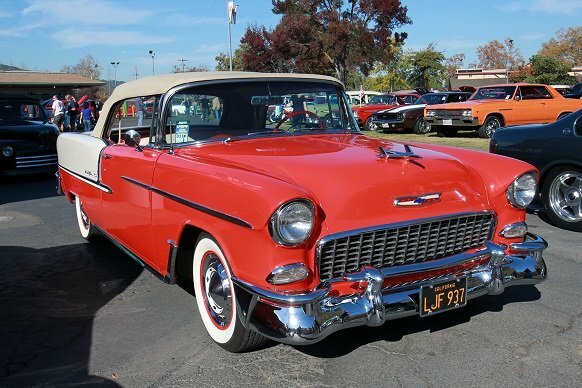 It was in 1953 that Chevrolet renamed the top of the line Styleline series to Bel Air. The body style was now distinguishable by a wide chrome strip of molding that ran from the rear fender bulge to the rear bumper and Bel Air scripts. The interiors of the Bel Airs also became more luxurious when it earned its name in ’53. Bel Air interiors feature lots of chrome and a top of the line steering wheel and full chrome horn ring. This year also marketed the standardized carpeting and full wheel covers on the model. Engines throughout the first generation included a 3.5L I6 & 3.9L I6 -- backed by a 3-speed auto or manual. 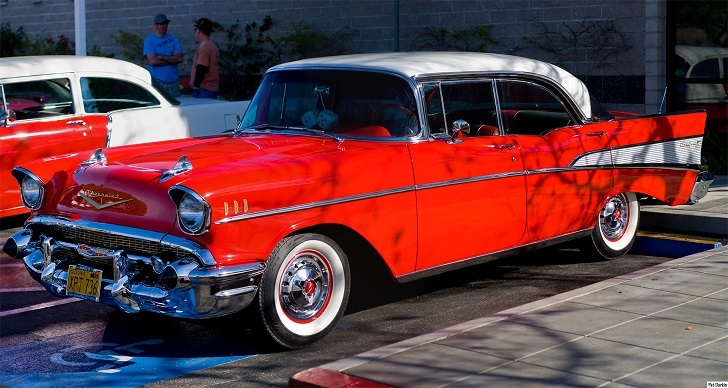 The second generation of the Bel Air marked a more powerful and stylish era for the car. GM gave the model a Ferrari-inspired grille, chrome headliner bands for hardtops, chrome fender spears, and stainless window openings -- in addition to some carry over characteristics from the original design. The Bel Air also got a V8 engine option for the first time -- engine options included: 3.5L I6, 3.9L I6, 4.3L V8, and 4.6L V8. GM also added an optional 2-speed powerglide transmission to the three speed manual or automatic selections. V8 models could also come with air conditioning for the first time in the second generation. This model started to gain more attention, even receiving top marks for handling by Motor Tread, and praise from Popular Mechanics for having impressive power, a smooth ride, and nice visibility. It also earned complaints for an engine that knocked when using regular grade gasoline and a V8 that burned oil too quickly. 1956 models got a facelift and a full-width grille -- the changes also included a two-tone bodyside treatment. Seat belts also became available, but less than 8% of consumers bought models with this option. The 1957 Bel Air remains to be one of the most popular models made -- it’s really one of the most popular classics of all time. These models are highly sought after by car collectors and enthusiasts. If you want to pickup a ’57 Bel Air today, it will cost you anywhere from $30,000 to $100,000, on average, based on condition. 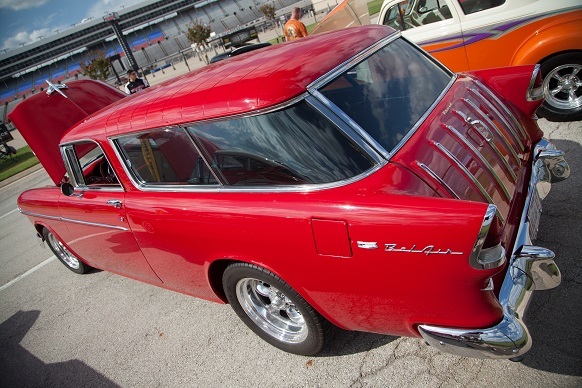 In this generation, drivers could also get behind the wheel of a 2-door production station wagon, the Nomad, under the Bel Air series name.